Loved this book . 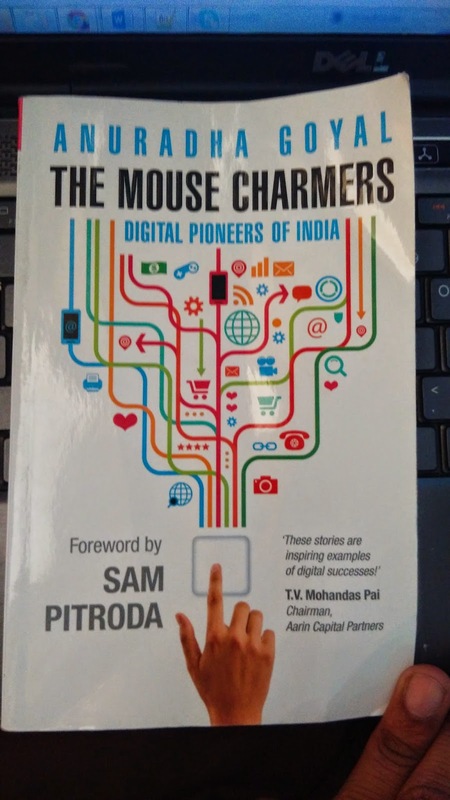 This book is very inspiring for budding entrepreneurs .Indian is full of Talented Computer savvy guys ,like me ;-) . These entrepreneurs require that boost ,that push to start their own startup . Author has studied the Indian IT pioneers who started from college rooms and backyard of Indian houses. These pioneers are not only booming but revolutionizing the concepts in their respective fields. I really like to appreciate the research & study of Author Anuradha Goel . She has done a wonderful job in writing the stories of these Digital Pioneers of India . The language is non-technical for any person to understand. So non-technical ,business people and MBA grads who have some unique ideas don't turn away from this book. You will find Bloggers like Lakshmi Rebecca via ChaiWithLakshmi who transformed the way of blogging. You will find Rang De which is purely MicroFinance Banking and marketing .Using technology to reach grassroot levels . You will find Bookmyshow who reduced you ticketing lines and "do(2) ka paanch(5) " black ticketing. :) . You will find online gaming portal Games2win . Just play it . You will get hooked. As if i was less lazy ,These Digital Pioneers of India brought my sabjiwaala to my doorstep ,the BigBasket . Top of that if i'm lazy to cook they guide me to best foodie hotels and let me brag about it,burpppp , that's Zomato . Author left no choice for men when she wrote about Caratlane,so now guys wife won't hamper you to go jeweler shop .You will get the bill in hand or swiped through credit card :P . That's Caratlane. I am blogger at heart and love to socialize with bloggers ,meet them ,share our thoughts and express opinions,i love my blogger community ,that's where Indiblogger comes in..:) . I loved the small but strong study of these Digital Companies ,really inspired. May be someday I will get featured in next series of this book ;-) .